Anchor navigation, also known as in-page links or jump links, is one of the most up-to-date interactive features that recently became an integral part of SAP Cloud Platform Portal. Anchor navigation helps a user to reach content on a page with just one click. SAP Cloud Platform Portal is a site builder tool that enables creating attractive sites, with interactive features like never before. Let’s assume that the site administrator and the content manager build a new site. They plan to locate the most important content at the top of the first page. One could ask – what is the most important content? The pressure from different stakeholders in the organization could prove challenging as the space at the top of the first page is very limited. What should they do? An anchor navigation menu, with several menu items provides a solution. The user gets to the important content with just one click, and there it is, at the top of the first page. 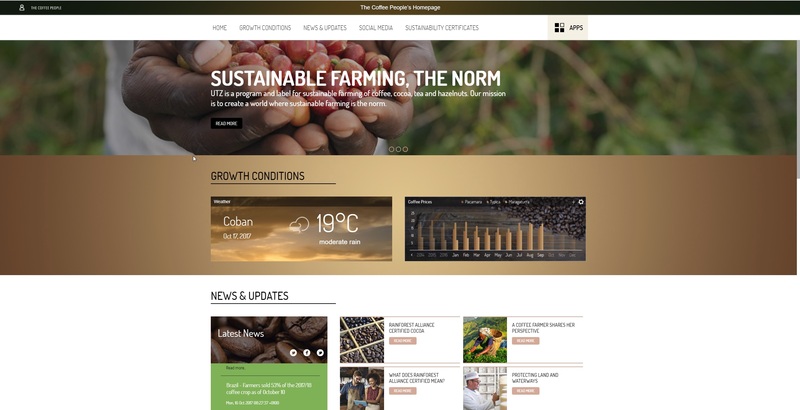 One pages site, built by SAP Cloud Platform Portal. 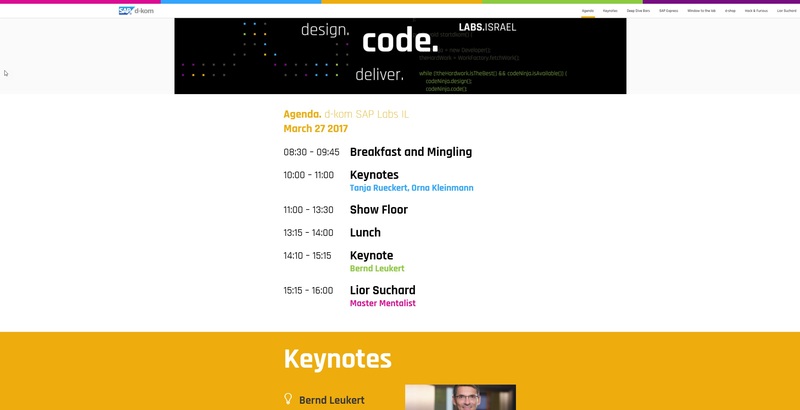 The menu entries on the top menu are the main sections on the page. Once again let’s assume that new content has been added to the site. It can be quite challenging to grab a user’s attention. One way to do this is by making it easy to get to that new content with just one click. Anchor navigation is now available from any link, tile, card, or button in Cloud Portal. All paths or activities lead to the center of things. This was literally true in the days of the Roman Empire, when all the empire’s roads radiated out from the capital city, Rome. All roads lead to Rome, so you can’t miss it. UX research has shown that horizontal scrolling on a desktop is indeed, painful for users. I was a little surprised to learn that long horizontal swiping on a touchscreen is not so clear to users either. So, why design long pages? Designers want to keep users in context and prevent them from having to browse to a different page. Is it a trap? Not necessarily! Anchor navigation allows you to create lengthy content (for any reason) and to avoid scrolling and swiping at the same time. Anchor navigation, like any other feature in Cloud Portal, is supported for mobile devices. 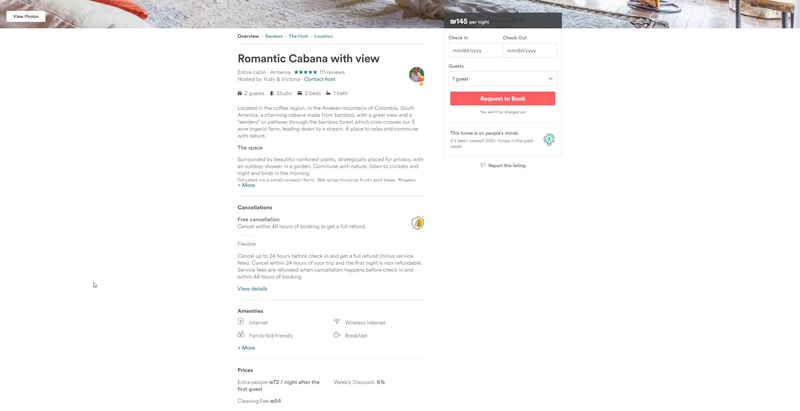 Airbnb homes use anchor navigation menu to scroll between overview, reviews, the host and location. A menu on top of a one-pager site, keeps the user in focus without having to scroll. A button can take them directly to the content of interest. This increases engagement with content that would normally require long scrolling. All this is only the tip of the iceberg. Anchor navigation opens a wide range of marvelous interactions, that enriches the sites’ user experience, and increases end user satisfaction. SAP Cloud Platform Portal takes you there. Try it now.